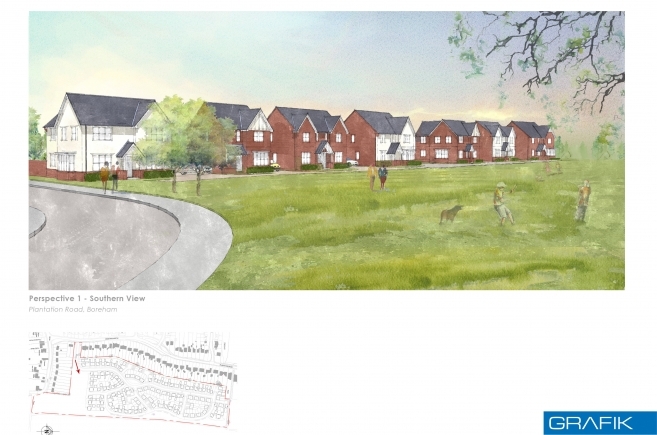 Grafik Architecture are pleased to announce the Reserved Matters approval for 145 dwellings at Plantation Road, Boreham on behalf of Bloor Homes. 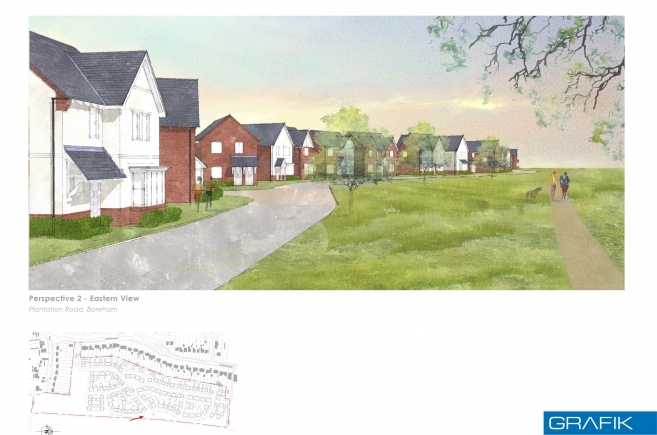 The site is situated on the edge of Boreham, a village in Chelmsford south of the A12. Boreham is located approximately 3.7 miles north east from Chelmsford City. 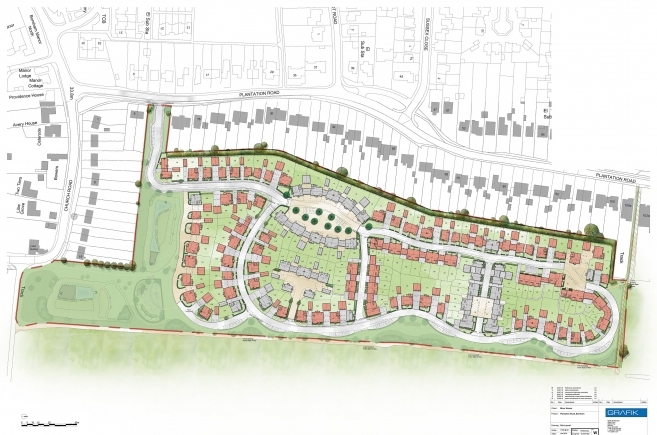 The site occupies a linear plot of approximately 6.84 hectares and lies on the eastern edge of the village of Boreham and to the east of the site invites views across open fields with a Public Right of Way footpath that runs along the northern and the length of the eastern boundary of the development. 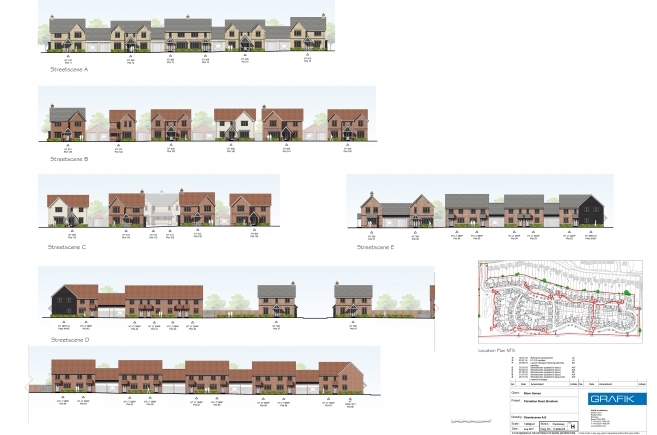 The proposed development is solely residential, consisting of 145 dwellings ranging between 1 bed maisonettes to 5 bed houses. The development provides for 35% of the Dwellings allocated for Affordable Housing which accords with the Council’s Planning Obligations SPD. A simple palette of materials was chosen to reflect the local character and surrounding context. The use of red brickwork ensures that there is a cohesiveness between the proposed and existing with a limited use of buff brick in key focal areas and the use of white render and white/ black boarding is to be used in key vistas and to create variety in the streetscene. The vernacular elements of brick detailing adds character of the development with planting and fencing used to reflect the local boundary treatments. The street scene is articulated by gables, porches and bay windows, which adds relief to the streetscene.